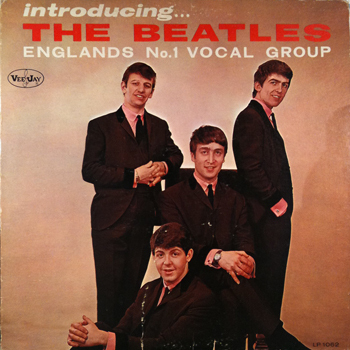 Tracks 6 and 7 are P.S I Love You and Love Me Do on the first issue of Introducing The Beatles. This is the second issue with Please Please Me and Ask Me Why instead of Love Me Do and P.S. I Love You. Tracks 1-6 on side 1 and tracks 7-12 on side 2. Mono cover variation for both copies is VJ 1062(2).MC1B and record label variation for first copy is VJ 1062(2).MR1B and second copy is VJ 1062(2).MR2C. Estimated release date for version 2 is known to be between the final few days of January and early February 1964.